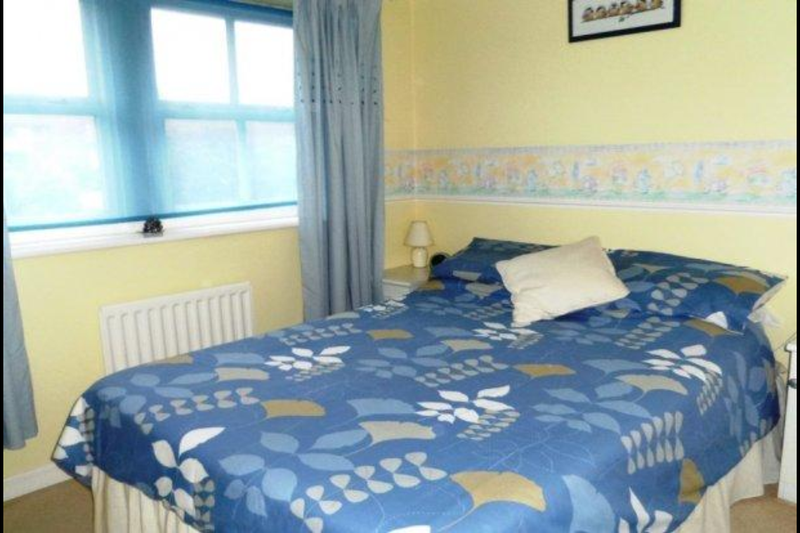 When we decided to tackle our very blue and yellow second bedroom we knew we’d have to take out all of the in-built 1980’s style storage. Ugly as this storage was, the chest of drawers was really useful for keeping summer clothes in. I started looking for alternative, attractive and affordable furniture but wasn’t finding anything that I liked the look of until I remember the Rast hacks I had seen previously. 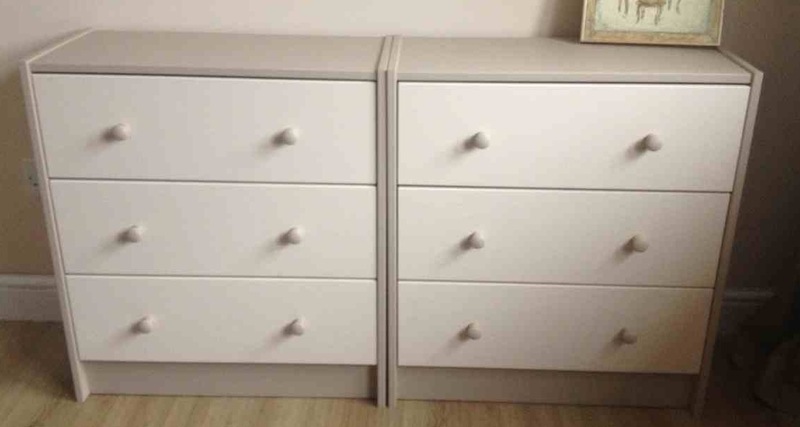 We already had a Rast chest of drawers inside our master bedroom wardrobes (which I haven’t customised yet) so I knew that two of these would give us the amount of storage we were after – one for me and one for hubby. One hellish trip to Ikea later – never go on a rainy Saturday – we had purchased two very basic looking drawers for some customising fun and for only £40 for the two. We started off by assembling the frames and drawers separately before covering our kitchen floor in newspaper. We applied one coat of cheap white paint to the drawers to see what coverage was like – not great as it turned out, but unfortunately we didn’t have any primer to hand. 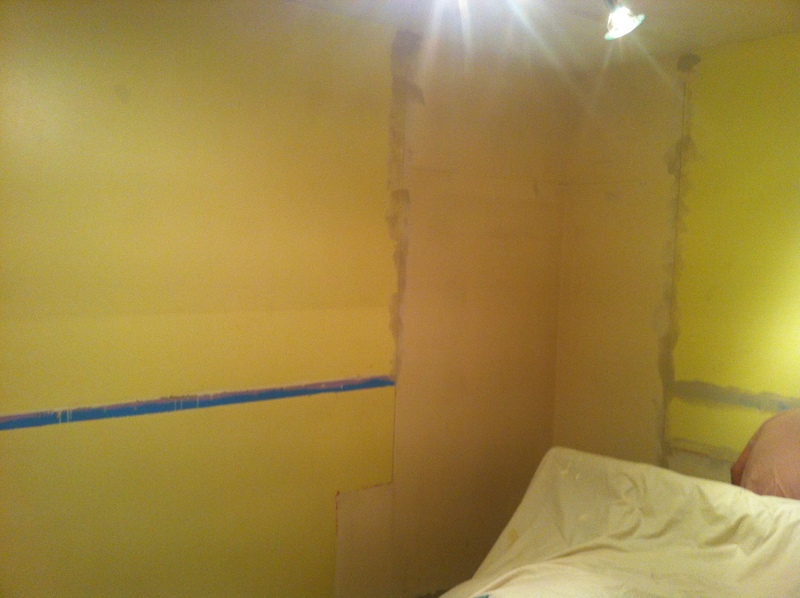 After two coats of this, with about 30 minutes drying time in-between, we were ready to paint them a slightly more exciting shade. 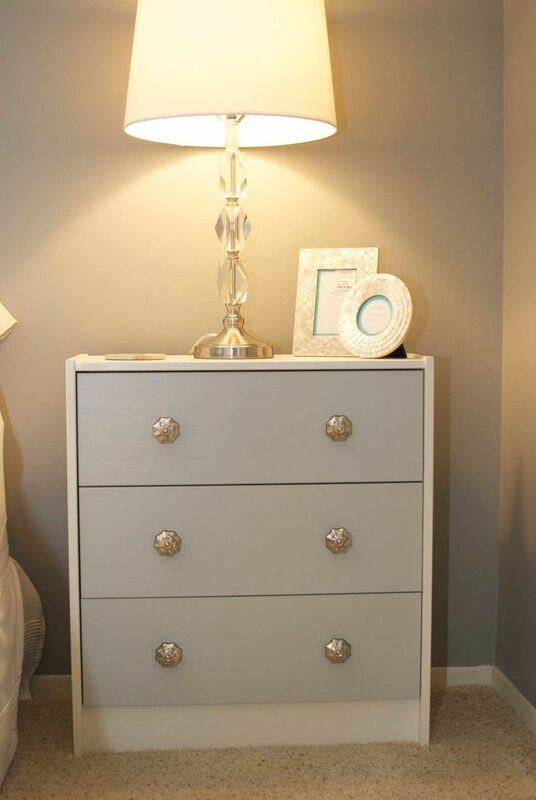 We’d already finished painting the bedroom so decided to paint the drawers in the same shades. We used the lightest colour on the drawer fronts, and the darker chocolaty shade on the frames and handles. The darker colour needed an extra coat to really cover the previous white coats, which meant 5 coats in total for the frame (2 white, 3 dark) and 4 for the drawers. The handles were a little fiddly so the DIY king screwed them onto a random scrap of wood (is keeping scraps something every man does?) so we could paint them more easily. Eventually I would like to replace the original handles with some chrome effect ones to posh it up a bit and match the light fittings already in the room. 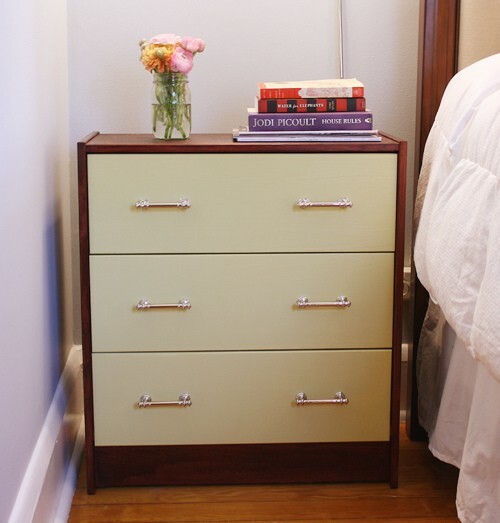 For now I’m pretty pleased with our first Ikea hack – what do you think? Edited 30th June 2013 – we finally changed the handles! Linked up at It’s Overflowing.